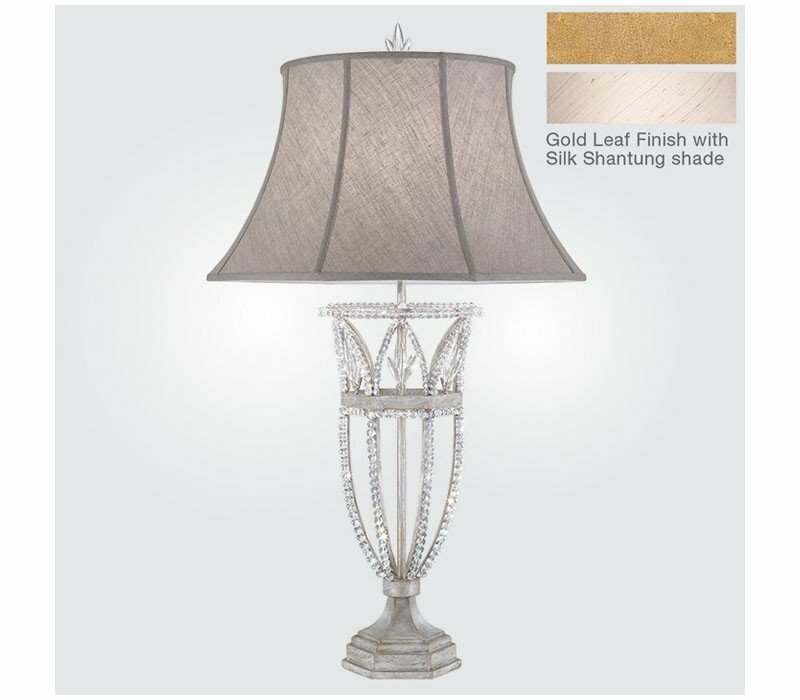 Table lamp with bold lines traced delicately by fine cut crystal beads in Brandenburg gold leaf finish and a hand-sewn, silk shantung shade. Also available in weathered Prussian silver gray #859410-1ST. The Fine Art Lamps 859410-2 Prussian Neoclassic collection Table Lamps in Brandenburg Gold Leaf use Incandescent light output and bring Antique style. This item is 37"H. The total wattage is 150 and the voltage is 120 volts. 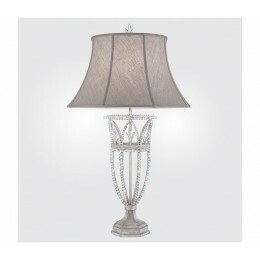 The Fine Art Lamps 859410-2 requires 1 bulb (not included). 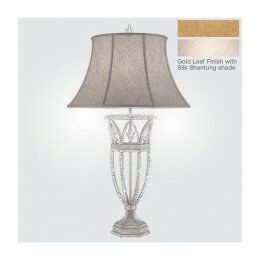 Additional Information: Shade-Hand Sewn Silk Shantung Shade; Control-3-Way Switch.